Do you like Tiny Town? Share it with your friends. 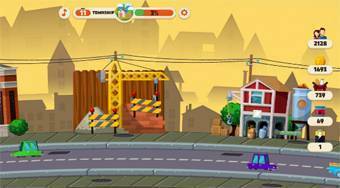 Tiny Town is an excellent strategy in which your task will be to try to build a prosperous city where a lot of satisfied people will live. Build in the open spaces of the building and the industrial facilities needed for the functioning of the city and its population. Choose taxes, raise money, improve city hall performance, and take care of the satisfaction of your people.